Analysis: Instead, Gano will simply treat the injury with rest and rehab, which should be all he needs to return at full strength for the Panthers' offseason program. Gano served as Carolina's kicker for the first 12 games before ceding those duties to Chandler Catanzaro, finishing with a 14-for-16 success rate on field-goal attempts and 30-for-33 mark on extra points. Under contract through 2021, Gano should retain the job so long as the knee doesn't prove to be an issue during training camp. Analysis: Gano has missed the last two games due to complications with the left knee, the second time in three seasons that he's tended to issues with his plant leg. He'll end the campaign succeeding on 14 of 16 field-goal attempts and 30 of 33 point-after tries. Chandler Catanzaro will serve as the Panthers' kicker for the last two contests of the season. Gano has been ruled out for Monday's contest against the Saints, Bill Voth of the Panthers' official site reports. Analysis: Gano did not practice all week, so this designation shouldn't come as much of a surprise. Chandler Catanzaro will once again get the start for Carolina. Analysis: Gano has sat out both practices thus far this week, though he has worked out with a trainer off to the side. The 31-year-old likely will need to showcase significant progress at practice Saturday if he has any chance of playing Monday against the Saints. Chandler Catanzaro handled kicking duties last week and remains on the roster if Gano is unable to illustrate enough progress for Monday. Gano (knee) has been ruled out for Sunday's game against the Browns, Bryan Strickland of the Panthers' official site reports. Gano (knee) wasn't present for the portion of Friday's practice open to the media, Bryan Strickland of the Panthers' official site reports. Analysis: Gano could get some work in behind the scenes, but early signs point toward his level of participation decreasing for the second day in a row. Casting more doubt on Gano's availability for the Week 14 matchup with the Browns, the Panthers added fellow kicker Chandler Catanzaro to the roster Friday. The Panthers will reveal whether or not Gano has any chance to play shortly after Friday's practice comes to a close. Gano (knee) was listed as limited on the Panthers' injury report Thursday, Max Henson of the team's official site reports. 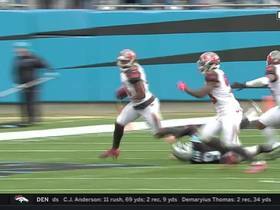 Analysis: In the aftermath of Sunday's loss at Tampa Bay, Gano mentioned that he's tending to pain in his left knee, which serves as his plant leg on kicks. He proceeded to put in a full practice Wednesday, so his downgrade Thursday is of concern. Assuming he continues to play through the discomfort, his performance over the last three games (3-for-5 on field-goal attempts and 6-for-7 on point-after tries) leaves something to be desired. Gano (left knee) was a full practice participant Wednesday, Bryan Strickland of the Panthers' official site reports. Analysis: Despite converting his only field-goal attempt and both extra-point tries, Gano said he dealt with some pain in the knee of his plant leg during Sunday's 24-17 loss to Tampa Bay. His full participation at Wednesday's practice suggests he's on track to play through the injury Sunday in Cleveland, but there isn't a ton of fantasy appeal in his December road matchup with a cold-weather team that has a solid defense. Gano (knee) converted his lone field-goal attempt and both his extra-point tries in Sunday's 24-17 loss to the Buccaneers. Analysis: Gano's field goal came from 37 yards, but he admitted after the game that he's dealing with pain in his left knee. Although he hopes to continue playing, Gano's performance level this season has taken a slight dip, and it's worth wondering whether his plant leg issues have contributed toward that. Through 12 outings, he boasts just 72 points. Gano said Sunday that he's dealing with knee pain in his plant leg, David Newton of ESPN.com reports. Analysis: Gano is usually one of the more reliable kickers in the league, so a knee injury would serve to explain his recent struggles. The 31-year-old expressed optimism that he would be able to play through the lingering issue, but it remains to be seen whether Gano will eventually be required to undergo surgery to address his injury. Gano converted two of three field-goal attempts and made all three of his extra-point tries during Sunday's 30-27 loss to the Seahawks. Analysis: Gano has missed two field goals and an extra point through the past two games, including a field-goal try which cost the Panthers a win Week 12. The 31-year-old will look to bounce back against the Buccaneers in Week 13. Gano missed his only field-goal attempt as well as one of his two extra-point tries in Sunday's 20-19 loss to the Lions. Analysis: Gano's mistakes proved costly for the Panthers in a one-point defeat. He hit the left upright on a 34-yard attempt during the third quarter, then failed on his extra-point try to begin the fourth. The veteran has now missed three PATs this season, and although his missed field goal marked his first of the campaign, he'll still be eager to put his best foot forward in Week 12 versus the Seahawks. That being said, with just 10 points over the last three games, Gano's stock is down at the moment. 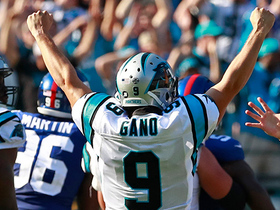 Gano did not attempt a field goal but made all three of his extra-point tries in Week 10's loss to the Steelers. Analysis: Gano has now gone back-to-back games without being called on for a field goal. That has seen his scoring average slide, as he now sports 57 points through nine appearances. Gano did not attempt a field goal but made all six of his extra-point tries in Week 9's win over the Buccaneers. Analysis: Gano did all that was required of him, bringing his season total to 54 points. He'll hope to get some field-goal opportunities to help boost his tally in Week 10 versus the Steelers. Gano made all three of his field-goal attempts and converted each of his three extra-point tries during Sunday's 36-21 win over the Ravens. Analysis: Gano notched 12 points during the Week 8 win, including a long field-goal attempt of 54 yards. The 31-year-old remains one of the top fantasy options at the kicker position and will face off against the Buccaneers on Sunday. Gano did not attempt a field goal but missed one of his two extra-point tries in Sunday's 21-17 win over the Eagles. Analysis: Gano's one point marked a season low and came thanks to him missing an extra point for the second straight game. 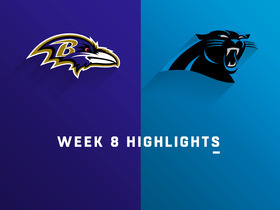 Following his triumphant 15-point outing in Week 5, Gano has turned in two underwhelming performances, providing motivation ahead of this Sunday's home game versus the Ravens. Gano made his lone field-goal attempt but missed his only extra-point try in Sunday's 23-17 loss to the Redskins. Analysis: Gano's failed extra point marked his first missed kick of the campaign. His lone field goal came from 32 yards, but his total of three points still set a new season low. 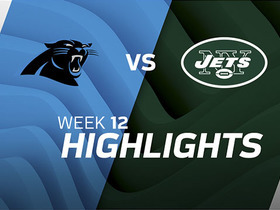 Gano made all four of his field-goal attempts, including a 63-yarder as time expired, and all three of his extra-point tries in Sunday's 33-31 win over the Giants. Analysis: Gano's game-winning kick came from just one yard shy of the NFL record, making for a highly dramatic finish in Carolina while keeping him perfect on the season. Besides his 63-yard bomb, Gano converted from 47 yards twice and 39 yards on his other field goal. Overall, his 15 points tied for the second most he's produced in any of his 80 career games. Gano converted from 40 yards on his lone field-goal attempt and made all four of his extra-point tries en route to seven points in Sunday's 31-21 win over the Bengals. Analysis: Gano has now made all 11 kicks he's been faced with through the first three weeks. That gives him a total of 17 points heading into Carolina's bye week. Gano made a 54-yard field goal on his lone attempt in Sunday's 31-24 loss to the Falcons. He also made all three of his extra-point tries, registering six points in total. Analysis: Gano missed his only attempt from 50-plus yards last season, so he started this term on the right foot by converting his first opportunity Sunday. Through two weeks, Gano has netted 10 points while not missing a kick. Gano converted from 27 yards on his only field-goal attempt, but missed one of his two extra-point tries in Sunday's 16-8 win over the Cowboys. Analysis: Gano has missed three extra-point attempts in each of the last three seasons, so his misfire Sunday wasn't totally out of character. For someone that missed four kicks total last year, however, Gano will be disappointed by already leaving points out there in Week 1. Fortunately, his failed effort didn't come back to haunt Carolina. He'll aim to tidy things up and hope for more scoring opportunities this weekend versus the Falcons. Gano signed a four-year contract Tuesday. Analysis: The Panthers were expected to use the franchise tag on Gano, who converted at least 29 field goals each of the past four seasons and has an 81.7 percent success rate for his career. The team probably won't use its tag now that the 30-year-old is locked up for the long haul. Gano should continue as a serviceable but sub-elite fantasy option among kickers. Gano is likely to receive the franchise tag from the Panthers, Jeremy Bergman of NFL.com reports. Analysis: Gano is coming off a strong 2017, which saw him hit 29-of-30 field goals, with his only miss coming from more than 50 yards. He's been with the team for the past six seasons and the team can keep him around for a seventh year at $4.8 million by using the tag. Gano converted 29 of 30 field-goal attempts and 34 of 37 extra-point tries en route to 121 points this season. Gano made all three of his field-goal attempts (25, 28 and 30 yards) but missed one of his two extra-point tries in Sunday's 22-19 win over the Buccaneers. 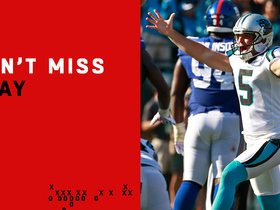 Analysis: Gano's missed extra point marked just the fourth time he's missed on 65 total attempts this season. His 117 points on the campaign currently rank 12th league-wide. 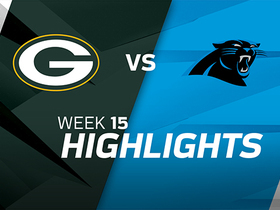 Gano made a 33-yard field goal as well as all four of his extra-point tries in Sunday's 31-24 win over the Packers. Analysis: Gano has notched seven points in back-to-back outings, while maintaining his record of just one missed field goal this season. That makes him a reliable kicking option in advance of next Sunday's game against the Buccaneers. Gano made a 41-yard field goal as well as all four of his extra-point tries in Sunday's 31-24 win over the Vikings. Analysis: Gano's performance brought his season tally to an even 100 points, placing him just outside the top 10 league-wide. Gano did not attempt a field goal but made all three of his extra-point tries in Sunday's 31-21 loss to the Saints. Analysis: Gano's scoring opportunities were restricted Sunday, but he still did all that was asked of him. Although his three points tied a season low, Gano still sports 93 on the campaign, placing him just outside the top 10 leaguewide. Gano made all three of his field-goal attempts (40, 33 and 45 yards) but missed his only extra-point try in Sunday's 35-27 win over the Jets. 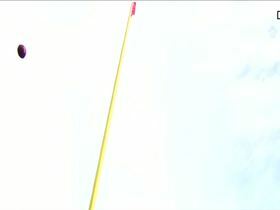 Analysis: Gano's failed extra point marked just his third missed kick of any variety this season. Through 11 games, he sports an admirable 90 points. Gano made his lone field-goal attempt and all six of his extra-point tries en route to nine points in Monday night's 45-21 win over the Dolphins. Analysis: Gano heads into the bye week in the midst of his most accurate season yet, as he's converted 20 of 21 field goals and 21 of 22 extra points thus far. Combined, Gano's 81 points currently see him ranked sixth in the category league-wide. Gano converted both of his field-goal attempts and both of his extra-point tries en route to eight points in Sunday's 20-17 win over the Falcons. Analysis: Gano split the uprights from 31 and 45 yards during his respective two third-quarter attempts. In making both his extra points as well, Gano has still missed merely two kicks all season. Carolina Panthers kicker Graham Gano misses a go-ahead 52-yard field goal. 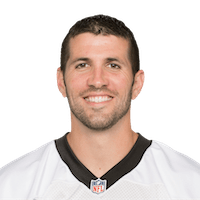 Carolina Panthers kicker Graham Gano makes a 54-yard field goal to extend his streak to 26 straight made field goals. 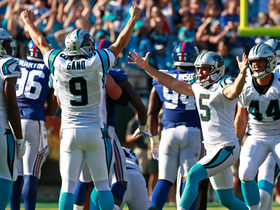 Carolina Panthers kicker Graham Gano nails a 63-yard field goal in closing seconds to beat the New York Giants. 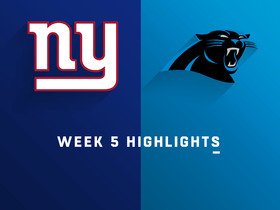 Watch every single play from the final two minutes of the Week 5 match up between the New York Giants and the Carolina Panthers. Watch the best plays from the Week 5 match up between the New York Giants and the Carolina Panthers. William Gholston penetrates and blocks extra point following kick return touchdown. 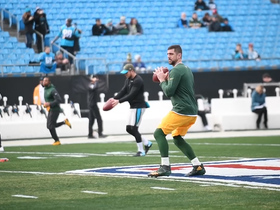 The Green Bay Packers faced off against the Carolina Panthers in Week 15 of the 2017 NFL season. Green Bay Packers quarterback Aaron Rodgers warms up before his first start since his collarbone injury.